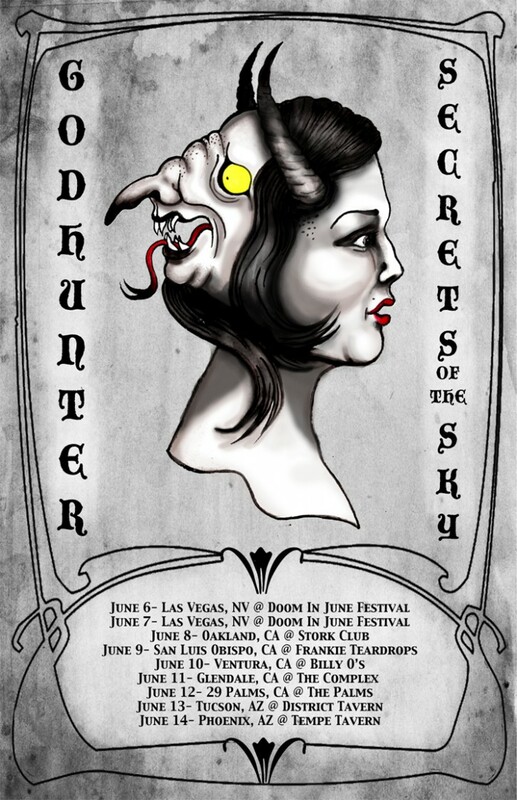 Tucson, Arizona’s GODHUNTER has confirmed an upcoming split release with their cohorts in Oakland, California’s Secrets Of The Sky, to be released in conjunction with their upcoming Western US tour together. During the first two weeks of June, GODHUNTER will take their confrontational political sludge metal to the West Coast in support of their newly-released debut LP, City Of Dust, the announcement coming amidst an intense torrent of rave reviews of the album filtering in from all around the planet. The entire tour will be with Oakland’s progressive doom metal sextet, Secrets Of The Sky, beginning with both bands performing at the annual Doom In June Fest in Las Vegas June 6th and 7th, joining Novembers Doom, Christian Mistress, Acid Witch, Ides of Gemini, Demon Lung and more. Now the bands confirm a new split recording being finalized for release in conjunction with the tour. Featuring dynamic, brand new material from both GODHUNTER and Secrets Of The Sky, the split EP will initially see a limited DIY release on cassette specifically for this collaborative tour in June. Then in September, a deluxe audiophile 10” vinyl version of the split will see a collaborative release between Earsplit’s The Compound label and GODHUNTER’s own Battleground Records, as with the City Of Dust album. Further details on both versions of the release will be made available in the coming days. 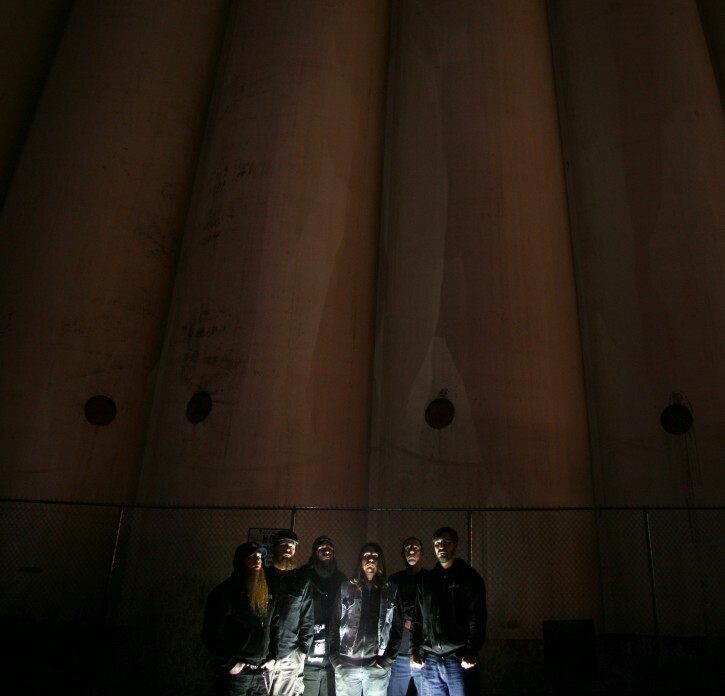 Stream all of City Of Dust at The Obelisk, RIGHT HERE.